Funeral Fund Blog: TV show Family Guy shocks fans with Brian’s death. TV show Family Guy shocks fans with Brian’s death. In Sunday night's mind-blowing episode of Seth MacFarlane's animated hit series, Family Guy audiences were traumatized to discover that Brian Griffin, the canine companion who has been in each and every episode since the pilot, was hit by a car and died. Brian as seen with his family shortly before his demise. We’ve watched Brian on Sunday nights since the Family Guy pilot in 1999, and last night Brian aka the family dog was hit and killed by a car during the Season 12 episode Life of Brian, in which Baby Stewie destroyed his time machine and the Griffins adopted a new pet. 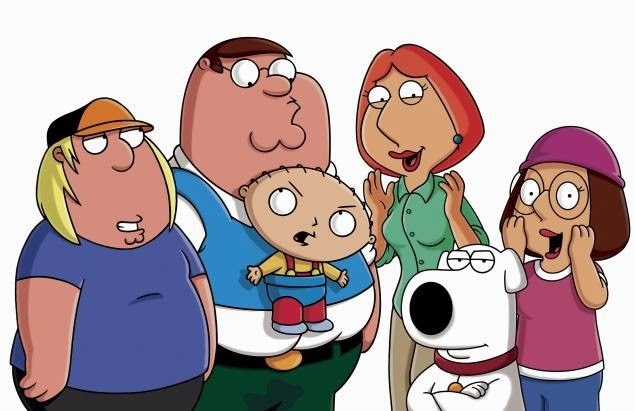 Brian is survived by his loving family, Peter, Lois, Meg and Chris, as well as best friend and sometimes sparring partner Baby Stewie, the tiny genius who was unable to fix his broken time machine in time to save his pooch. A lifelong liberal, Brian loved a good martini, mocking his own family and writing awful fiction. Brian’s death made us cry. Brian’s death did something I never thought Family Guy ever could: It made us feel real emotions. Some even cried. It’s really engaging when a show, in its twelfth season, can still surprise you like that. When Brian looked up at his family and told them, “You’ve given me a wonderful life,” the tissue box emptied. Baby Stewie’s journey of acceptance was also particularly touching. The family pet should be every kid’s first experience with death, and while it was painful to see Stewie lose his best friend, it was also nice to see him move on. I’m not totally sold on the new pet Vinny yet, but I think he’ll grow on all of us. Brian died a dog’s death. Brian may have lived a human life, but he died a dog's death. Brian was pretty much an animated human who happened to wear a fur coat and walk on four legs. He described himself as a liberal and a writer, though his writing was terrible. He also liked to drink – alcohol that is, which didn't prevent him from being best pals with his two-legged siblings Peter and Stewie. Brian’s death followed a complicated series of events wherein Stewie destroyed the time machine that had taken him and Brian on multiple adventures. When Stewie threw the remains of the machine away at the junkyard, they found a street hockey net. They were setting it up in the street when Brian got fatally hit by a bad driver. Stewie tried to reassemble the time machine so he could go back and save Brian, but he couldn't get the parts. A month or so later, the still-mourning Griffins decided to get a new dog: Vinny. Vinny won over most of the family by cooking dinner. Stewie held out, but Vinny eventually won him over by talking about how he had lost his owner, so he could understand how Stewie felt. "You've given me a wonderful life. 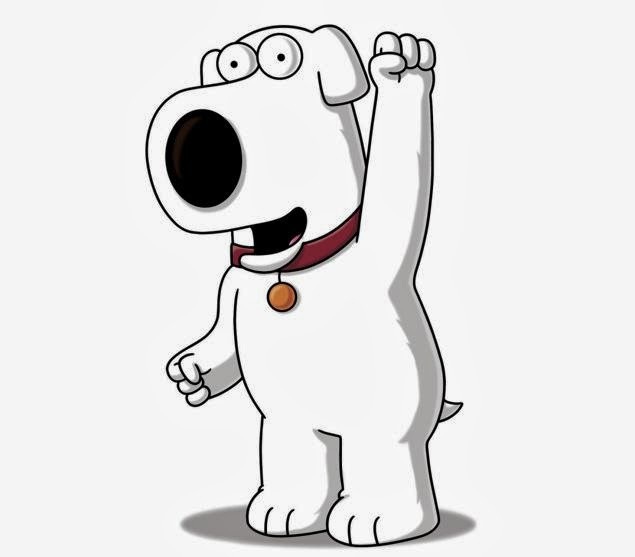 I love you all," were Brian's final words, spoken to the Griffins in voice of series creator Seth McFarlane. Brian was 11. Or 77 in dog years. Loving this. I cried when Brian died.